Vinyasa yoga to kick start your week. Great to jiu jitsu practitioners, atheletes or just about anybody with a reasonable level of fitness as we move though a flowntoncreate more openness and flexibility in the body. Combination of breath, poses (asana) and small meditation. A lovely slow flow to release any built up tension so you start your week long and smooth and energised! Fully guided meditation, relaxation and breathing. Align and Flow level 2 offers stronger variations of yoga postures in an intelligent sequence to strengthen and warm your body. Moving through the postures progressively and mindfully with breath, slowed down to focus on alignment in postures. This practice builds strength, flexibility and concentration. 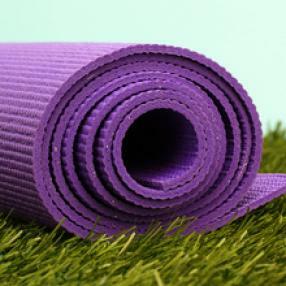 Intermediate or experienced – Students would need to have been practicing yoga or regularly partake in other physical activities. More advanced postures offered. A flowing class focusing on breath linked with movement with a strong focus on alignment to create a safe class that is strengthening and energising. Students that are comfortable and confident to self adjust their own practice are also able to attend this class. Come to the present moment and develop your mind's focus and strength with Marie. A very gentle and respectful experience.